Things are looking up for a Red Bull Raikkonen combination. 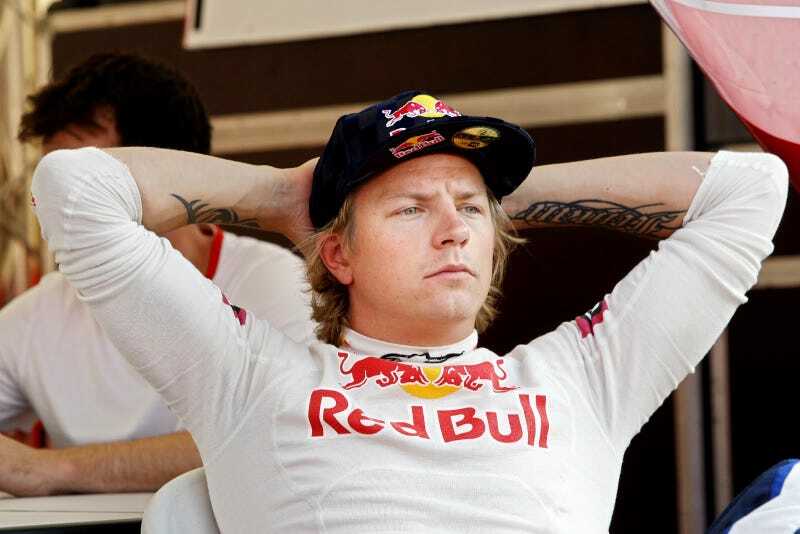 Okari Saari, a Finnish commentator, says a switch to Red Bull is "very likely" for Kimi Raikkonen. Saari thinks that Mark Webber will definitely leave the "Number 2" Red Bull seat open for 2014 and that Kimi stands a much better chance of moving in than Torro Rosso's Daniel Ricciardo and Jean-Eric Vergne. "They're good guys, but not quite good enough," Okari Saari claims. "The probability of Kimi going to Red Bull is very high — it would be a logical move." Now granted, all of this speculation is coming from a Finnish commentator, so take it with a grain of salt, but I'm still hopeful. Maybe then I'll be able to wear my Red Bull Racing jacket with pride. Regardless, Helmut Marko (Red Bull's big cheese) apparently said driver decisions come out during the summer break in August, so we shouldn't have to wait long.